When it comes to our hardwood floor, we banished the traditional mop and bucket a long time ago. Who wants to deal with it being all slimy while having to ring out in dirty water and have it drip all over? No, thanks. We also tried one of those cleaning systems where you attach a disposable pad each time, but I wasn't a big fan of that either. How many of those pads do I actually end up using each time? And do they have to cost that much? 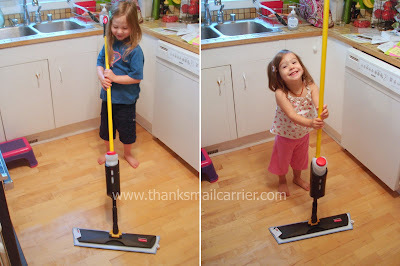 Thanks to CleanItSupply.com and the Rubbermaid Spray Mop, our floors have never been more efficiently, eco-friendly or easily cleaned. When it comes to cleaning supplies, CleanItSupply.com is the place to look. I've mentioned their extensive line of products (everything from paper towels to dishwasher detergent to high chairs) before and if you haven't visited to see for yourself, then you're missing out. The products are top-notch, the prices are affordable, and it's all delivered right to your front door - the only other thing that they could do to make your life easier would be to do the cleaning for you. And if they begin offering that service, your house is going to have to wait in line behind mine. When the Rubbermaid Professional Spray Mop and Wet Mopping Microfiber Pads arrived, the first thing I noticed was that there was nearly no assembly required before my floors could be on their way to sparkling. Light enough that both of my kids can easily push it around, the Rubbermaid Spray Mop actually stands over 4' tall so it can be used by all heights and no one will have to bend or hunch to move it. Even though I'm short, I love being able to push this into every nook an cranny (the base twists and turns in every direction)... or have my little helpers do it for me! 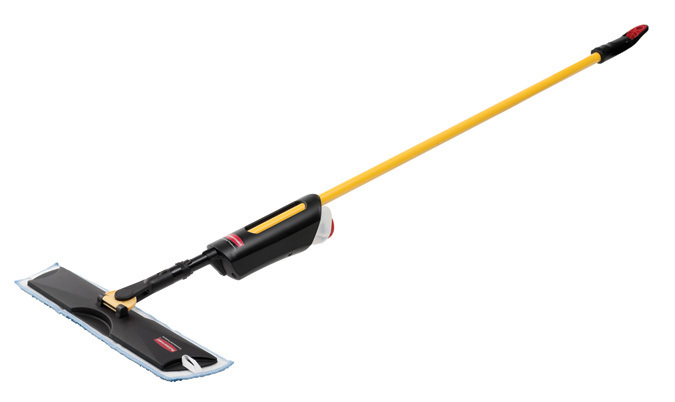 More than that though, I really like the simple and thoughtful features that Rubbermaid included when creating this light commercial spray mop. The removable, refillable 15 oz refill cartridge pops in and out of its holster with ease and can be filled with whatever solution you prefer. From plain water to a store-bought liquid or one that you create yourself, just pour it right in and pop the bottle back into place. Located right on the handle of the Spray Mop is the ergonomic thumb activated trigger that conveniently dispenses liquid in two spray streams behind the mop to cut down on your overall cleaning time. 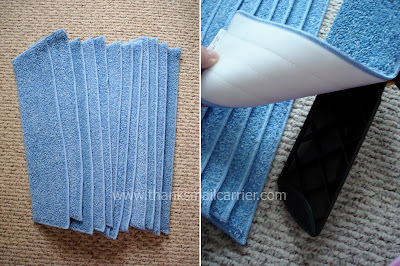 There are 12 cleaning pads included in CleanItSupply.com's economy pack and, let me just say, I was thrilled to see each and every one of them. Great for everyday use, these thick, durable, reusable microfiber pads remove more dust, dirt and bacteria than conventional cleaning products - making them the choice of hospitals everywhere. But as well as being designed to remove dirt and grime, the 18" size of these pads (as well as the base of the Spray Mop) is pretty amazing. Instead of feeling like I have to go over each section of the floor time and time again, I can simply attach and detach the pads to the Velcro on the bottom and be ready to wash 1.5 times the amount of footage in the same amount of time. To top it off, when I'm done I simply peel the pad right off and toss it into the laundry room to be washed at my next convenience. With 11 more waiting for me, there's no rush! Retailing for $47.88 for the Rubbermaid Spray Mop and $55.60 for 12 Microfiber Pads, CleanItSupply.com has made it possible to make clean-ups easier and quicker without any concerns over potentially harmful chemicals on your floors that might not be safe for your children or pets. Simply use whatever cleaner you prefer in this high quality product! (total ARV $104) from CleanItSupply! 2 Extra Entries (per method) if you follow CleanItSupply.com on Twitter and/or Like them on Facebook. 1 more Extra Entry if you update your Facebook status to the following: Have you shopped at CleanItSupply.com yet? 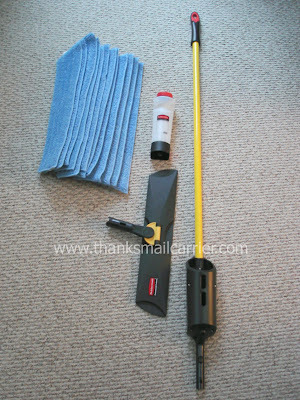 They have all the cleaning supplies you need at discount prices: http://bit.ly/aLUQ2! I also just entered to win a Rubbermaid Spray Mop and Microfiber Pads (ARV $104) from Thanks, Mail Carrier: http://bit.ly/nPOLp3! CleanItSupply.com has it all http://bit.ly/aLUQ2! 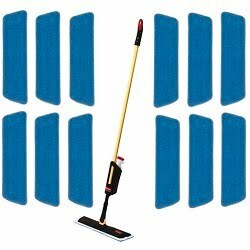 I entered the #giveaway to #win a Rubbermaid Spray Mop (ARV $104): http://bit.ly/nPOLp3! Giveaway will end on August 23rd at 11:59pm CST. Do me the favor of leaving an email address or making absolutely sure it is visible in your profile, I have to have a way to contact the winner. The winner will be chosen by random.org and announced here as well as emailed and will have 48 hours to contact me or respond to notification or a new winner will be chosen. This giveaway is open to continental U.S. residents only. 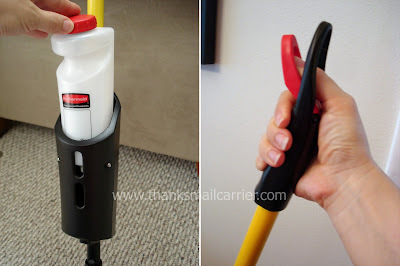 A big thank you to CleanItSupply.com for providing a Rubbermaid Spray Mop and Microfiber Pads for me to review as well as for one lucky giveaway winner. The opinions shared are my own and honest and if you really need to see more, click here to see how I roll. The product from cleanitsupply.com I would like to own is the Eureka The Boss Vacuum Cleaner (EUR1934). I need this for the basement! I would love a case of Simple Green Cleaner Degreaser! I use this stuff all over my house and a case of it would last me forever (ok one of the concentrated bottles last me for MONTHs of cleaning!) awesome stuff! Follow you on twitter @AMLewis2003. A trashcan would be a little closer to my real budget. I entered The Best of Caillou: Caillou Goes Back to School DVD Giveaway. Hi! Just stopping by. Already following you from Follow Me Back Tuesday Blog Hop. Would love a visit and a follow back on my blog: http://blog.writerslairbooks.com. Thanks! By the way, we have a current giveaway for an IPAD 2 and a Kindle 3G. I would love for you to enter if you haven’t already! Then I would have the cleanest carpets in town. Thanks for a great giveaway! I follow Thanks, Mail Carrier on GFC = trishden. Thanks! 12 rolls of Bounty paper towels. What a wonderful prize. I'd really love to win this mop. I love that you can make your own solution to wash with. I also like the Eureka The Boss Vacuum Cleaner (EUR1934). I would love to win the Rubbermaid spray mop with microfiber pads for my bamboo floors.